A classic! 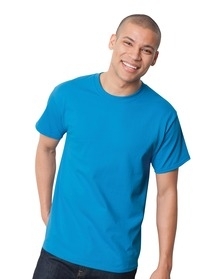 This 100% heavyweight cotton has a reliable fit and long lasting durability. Port & Co. uses only quality construction and fabrics for a basic style and wide, readily available color selection. 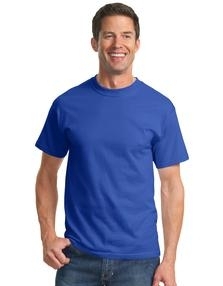 This shirt has a ton of great attributes and uses for a wide variety of groups. It’s a GREAT pick for businesses with blue collar employees that will work it hard and run it through the wash cycle frequently. It also has a forgiving and generic fit so accomodating for large events, give-aways or a diversity of shapes and sizes makes it a good option. These will shrink, tighten, snug-up - whatever you want to call it. Although it says PRE-shrunk, there is a short break in period with this tee so USERS TAKE NOTE: if you are typically close to the next size up, then size up!